Continually infuse your space with the divine aroma of a luxury Perfumer Reed Diffuser. 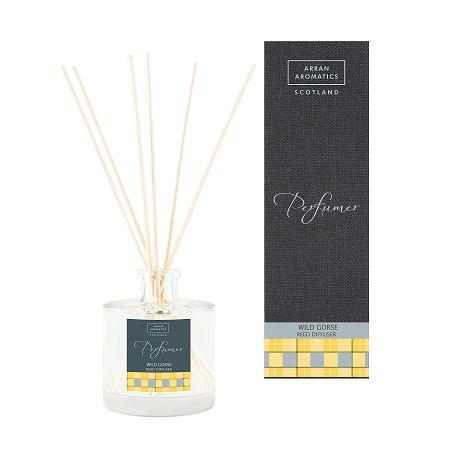 The exclusive Wild Gorse fragrance is fresh and green, with swirls of creamy wood and honeyed-florals. This bright and happy aroma is soft and warm with a mellow sweetness.